It combines the Civil War and Green Russian Big Muff. Electro-Harmonix has introduced the Sovtek Deluxe Big Muff Pi. 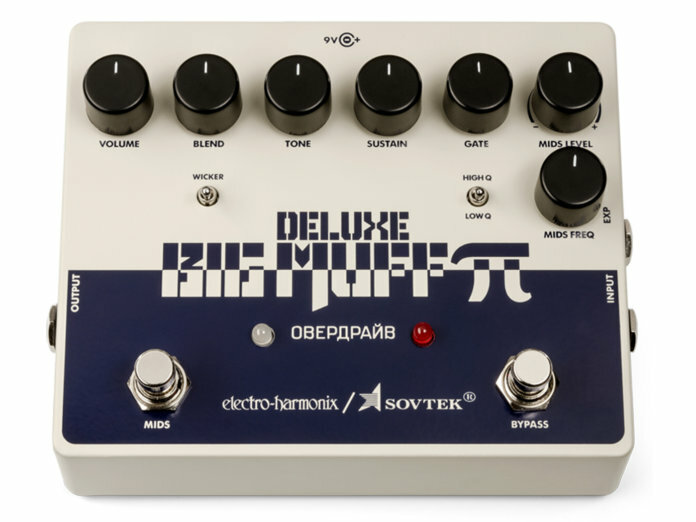 It combines the versatile range of the Civil War and the Green Russian Big Muff with the dynamic controls of the Deluxe Big Muff Pi. The result is a moderately complex, but highly comprehensive, drive unit. Tone-wise, this stompbox can be tweaked to unleash fuzz/distortion that has “devastating low end, crisp highs and non-scooped mids”, according to EHX founder Mike Matthews. Retails for $149. More information at ehx.com.